Below you fill find all funeral homes and cemeteries in or near West Seneca. Suburbs of West Seneca: W Seneca, Cheektowaga, Lackawanna. Their current mayor is Mayor Sheila Meegan. Zip codes in the city: 14206, 14210, 14218, 14220, 14224. Some of the notable people born here have been: Lee Stempniak (ice hockey player), Chris Mueller (ice hockey player), Christopher Gee (actor), Jeremy Kelley (american football player), Justin Strzelczyk (american football player), and Alex Lepkowski (ice hockey player). It was noted on February 6th, 2019 that Maria E Manuse (Battaglia) died in West Seneca, New York. Ms. Manuse was 90 years old. Send flowers to express your sorrow and honor Maria E's life. It was reported by Star Beacon on September 13th, 2018 that Virginia L Bort (Brundage) passed on in Kingsville, Ohio. Ms. Bort was 86 years old and was born in West Seneca, NY. Send flowers to express your sympathy and honor Virginia L's life. It was reported by The News Tribune on November 14th, 2017 that Edward G Croft passed on in Puyallup, Washington. Croft was 88 years old and was born in West Seneca, NY. Send flowers to express your sympathy and honor Edward G's life. It was written by The Villages Daily Sun on July 29th, 2017 that Richard Bret Yaw passed away in The Villages, Florida. Yaw was 82 years old and was born in West Seneca, NY. Send flowers to express your sympathy and honor Richard Bret's life. It was noted by Star Beacon on August 18th, 2016 that Kenneth O Brundage passed away in Kingsville, Ohio. Brundage was 81 years old and was born in West Seneca, NY. Send flowers to express your sympathy and honor Kenneth O's life. It was disclosed by Tonawanda News on February 3rd, 2015 that Margaret M Human (Williams) died in West Seneca, New York. Ms. Human was 74 years old. Send flowers to share your condolences and honor Margaret M's life. It was reported by Tonawanda News on December 1st, 2014 that Margaret Helf (Kilcoyne) died in West Seneca, New York. Ms. Helf was 99 years old and was born in Scranton, PA. Send flowers to express your sympathy and honor Margaret's life. It was written by Tonawanda News on October 8th, 2014 that F Robert Roth perished in West Seneca, New York. Send flowers to share your condolences and honor F Robert's life. It was revealed by Tampa Tribune on November 30th, 2011 that E Janette Leach (Jordan) died in Ridge Manor, Florida. Send flowers to express your sorrow and honor E Janette's life. It was revealed by Reno Gazette-Journal on October 18th, 2011 that Donald Raymond "Don" Metzger died in Reno, Nevada. Metzger was 78 years old and was born in West Seneca, NY. Send flowers to share your condolences and honor Donald Raymond "Don"'s life. 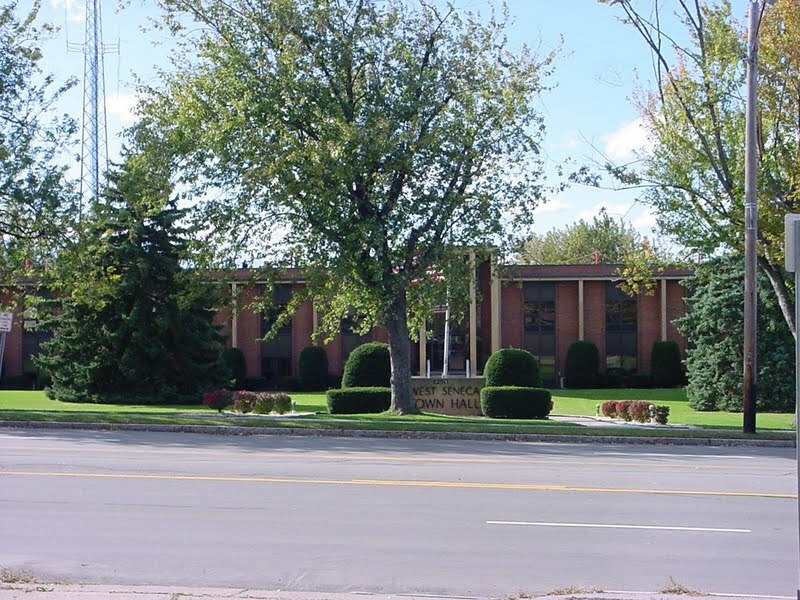 The official website for the city of West Seneca is http://www.westseneca.net/. Heinaman of West Seneca; her son, Robert (Kathryn M.) Sajdak of Hopewell Junction, NY; her grandchildren ... There is no prior visitation. Private funeral services and interment were held at the Holy Trinity Cemetery Chapel with Rev. Jacek P.
North Street, Buffalo, NY 14204. Interment in St. Matthews Cemetery, West Seneca, NY. Arrangements by Williamson Funeral Home, 635 Main Street, Niagara Falls, NY 14302. Visit www.niagara-gazette.com/obituaries for online guest register. Smart, 79, of West Church Street, West Chazy ... Arrangements have been entrusted to Brown Funeral Home, 29 Broad St., Plattsburgh, NY 12901; (518) 561-3980. Online condolences and memorial candles may be offered at www.brownfu neralhomeinc.com. Curtin Funeral Home, Inc. West Seneca, NY, Buffalo and surrounding areas. Site contains history, services, merchandise and links to grief support. Hoy Funeral Home Incorporated, West Seneca, NY : Reviews and maps - Yahoo! Local, 716.674.3636. Get Ratings, Reviews, Photos and more on Yahoo! Local. Sieck & Mast Funeral Home, West Seneca, NY : Reviews and maps - Yahoo! Local, 716.825.5205. Get Ratings, Reviews, Photos and more on Yahoo! Local. We work with local florists and flower shops to offer same day delivery. You will find budget sympathy flowers in West Seneca here. Our funeral flowers are cheap in price but not in value.